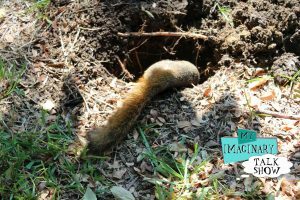 Maybe you don’t have enough excitement in your life when you feel compelled to write a blogpost about a dead squirrel in your driveway. But, hey, this is My Imaginary Talk Show and I think we can all agree there’s a reason it hasn’t been snatched up by some huge media conglomerate. So… Dead squirrel in the driveway it is! Those who know me best know I get up two or three hours before the crack of smack every single day. I get dressed. I take the dog for a walk. And I head off to work in my home office an hour and half before most people begin hitting their snooze buttons. The thing about walking in the pre-crack O’ smack hours is it’s still dark out when I’m traipsing through the neighborhood with a leash in one hand and a poo bag in the other. 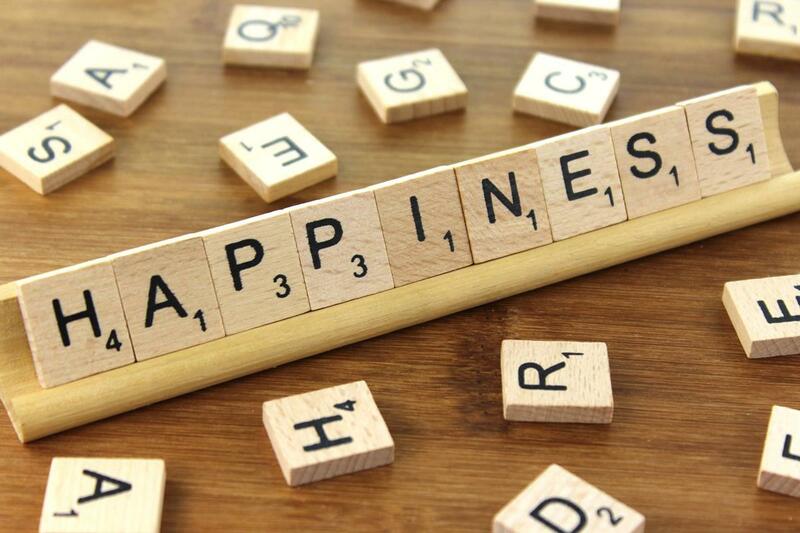 Not being an owl or a cat, I sometimes have difficulty seeing my surroundings, but I’ve gotten pretty darn good at noticing when things are out of the norm. 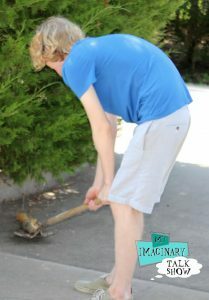 Recently, I spotted something in my driveway. It appeared to be the approximate size and shape of a dead squirrel, though I sincerely hoped it was a small pile of leaves. I made a mental note to check it out in the daylight hours. As I walked my geriatric dog, I brainstormed ways to dispose of a dead squirrel, just in case it wasn’t leaves. It seemed foolhardy to stick it in a bag and hope it wouldn’t get overly ripe before trash pickup in three days. I thought about putting it in the trunk of my car, driving it to the lake, and tossing it in–like some mobster-in-training who is currently practicing on rodents. I wondered if I could get away with chunking it into my neighbors’ yard as a “gift” for the three rambunctious boxers next door. That seemed wrong. Plus, they have security cameras. So, there’s that. I ended up telling myself it was, in fact, a squirrel size pile of leaves and putting it out of my mind. Later in the morning, after I put in four and a half solid hours of work, geriatric dog was ready for walk #2. As we headed to the end of the driveway, I had completely forgotten about the great “Leaves or Squirrel?” debate, but there was no debating what I saw. There, on my driveway, was a squirrel–a dead squirrel. If this were NCIS: Driveway, we would be talking about blunt force trauma and questioning if the squirrel fell from a tree or if foul play was involved. We would be currently awaiting autopsy results while tossing around words like, “trajectory” and “velocity”. In reality, I discussed the options with my sidekick, Landon. Being vegetarians who get skeeved out at the thought of cutting up a chicken, we decided against an autopsy and elected to go straight for the burial. Well, first we had a twenty minute, rambling conversation about whether or not squirrel is kosher. (According to the interwebs, there is some debate about that, but we both fall into the “squirrel probably isn’t kosher” category.) 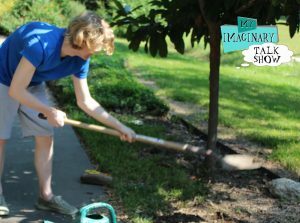 After that was settled, Landon dug the plot near a magnolia tree that has managed to survive my years of neglect. It’s a lovely, peaceful, setting, overlooking both my driveway and the neighbors’ rambunctious boxers. Now, as long as the hole was dug, we figured we might as well do it up right. After all, it wouldn’t do to send the dearly departed driveway squirrel off to rest in peace in a pauper’s grave. A headstone was created. 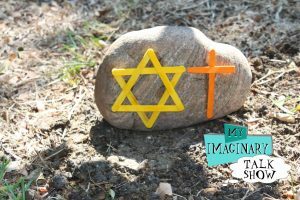 Not knowing the squirrel’s religious preferences, Landon embellished a squirrel tombstone size rock with both a popsicle stick cross and a popsicle stick Star of David. We feel it is both classy and understated. We’re only sorry we didn’t know the date of birth and the squirrel’s given name. Then we sang the only squirrel song we know–The Mississippi Squirrel Revival, by Ray Stevens. There wasn’t a dry eye in the driveway as we laughed our way through the lyrics. Oh, please don’t think we were being disrespectful. We think Driveway Squirrel would have wanted us to remember her with laughter. 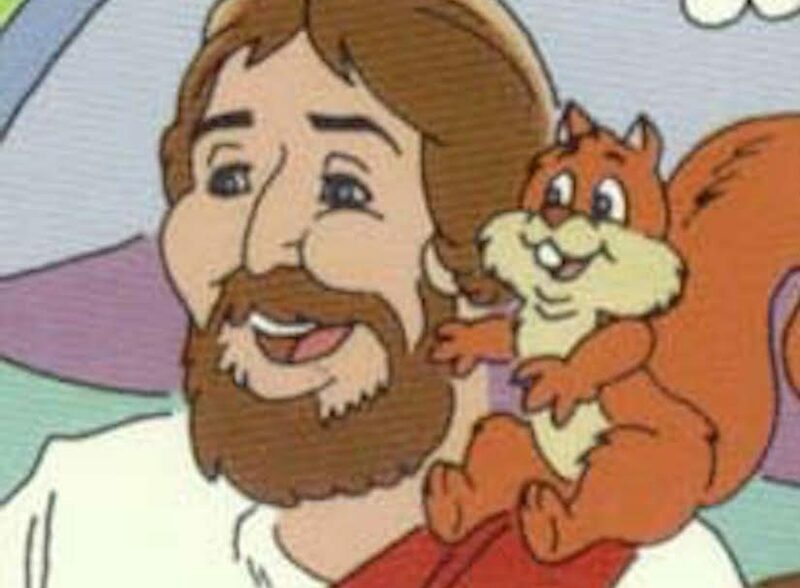 Note: If you are the creator of the featured image of Jesus and a squirrel, we would love to credit you. Please contact My Imaginary Talk Show and attribution will be given. I’m planting an acorn, today, in his honor. Personally, I think you and Landon should have thrown a few into his sarcophagus as well. And Landon should have made him a little golden death mask, and a small pyramid. And perhaps you should have named him King Nut.